Outdoor Woodworks is a Nashville fence company building quality fencing for the Middle Tennessee community. We offer premium fencing products and installation. Wood Fences – We specialize in constructing the finest in Tennessee custom wood fences. We offer custom wood fence construction and design. We use top grade cedar and pressure treated pine for Nashville area privacy fences, picket fences, split rail fences and more. 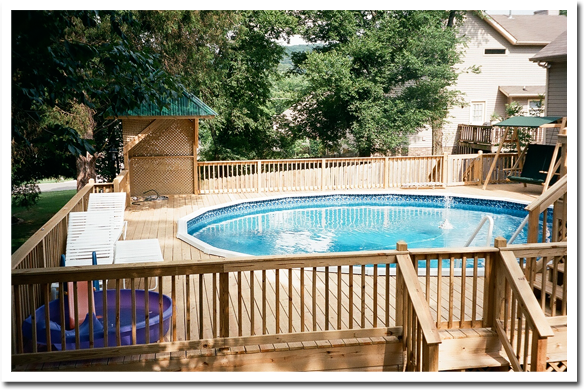 Our pool fences comply with Tennessee’s pool safety regulations. Ornamental Aluminum Fences – Aluminum fences offer the look of wrought iron with the benefits of a longer lifespan and weather wear resistance. We offer a wide selection of styles available from several manufacturers. Outdoor Woodworks of Nashville offers free estimates on our fence projects so give us a call or complete our contact form and we will gladly answer any questions you may have and quickly give you a competitive bid in Nashville and surrounding areas for whatever type work you need. Outdoor Woodworks, LLC is a Tennessee licensed and insured fence company who you can trust to get the job done right. Call us today for a free consultation and estimate at (615) 865-6900.